One thing you will want to keep in mind is the importance of keeping your organization’s address up to date with the Attorney General’s Office. They are only required to notify you by mail of any violations, fees or penalties you may have incurred. Whether or not you receive it has no effect on your responsibility to resolve the issue. The AG Office will use the address from the most recent registration renewal form unless the organization has otherwise given notice of a change. The Attorney General’s Office reserves the right to issue a cease and desist order at its discretion for refusal or failure to produce records or disclose required information upon notice, making a false statement in a required application or report, failure to file a financial report, filing an incomplete report, or engaging in any act that requires registration while unregistered. This includes all charitable solicitation even if your registration is only delinquent, suspended or revoked. If in violation, the organization will receive a notice advising how to correct or appeal the violation. If the recipient can provide documentation within 30 days that the violation has been corrected, the penalty will not be imposed. For violations involving solicitation each call, mailing or request constitutes a separate violation regardless of whether it results in a donation. In the case that the violation is ongoing penalties may continue to accrue at a rate of $100 per day until the violation is corrected. Once the Attorney General has determined that the violation has been corrected, a notice will be issued identifying the ending dates of the violation along with the total amount owed in penalties. Any failure to pay penalties in a timely manner will result in automatic suspension of registration. A suspension may also be placed on any entity that has been assessed penalties. No registration can be renewed until penalties are paid in full. Automatic suspension can also occur if the organization’s tax-exempt status has been suspended or revoked by the IRS, the registrant fails to file required periodic reports for three consecutive years, or a corporation status is revoked or suspended by the California Secretary of State. Organizations using third party fundraising must also be aware of the filing requirements and status of their fundraisers. Commercial fundraisers, fundraising counsels and commercial coventurers may be required to maintain a valid bond or cash deposit of a certain amount, file annual registration forms, and submit annual financial forms. Failure to meet these requirements could result in automatic suspension of registration. A registration that has been continuously suspended for one year shall be automatically revoked. If this happens, the registrant must provide within 30 days an accounting of all charitable assets in its possession, custody or control for 180 days prior to the effective date of the order or period of time specified in the order. The Attorney General may require an accounting of all charitable assets received, held or distributed by the registrant for a period of up to 10 years prior to the effective date of the revocation. The registrant will be prohibited from distributing or expending any charitable assets without written approval of the Attorney General, and may be directed to distribute some or all of its charitable assets subject to charitable trust to another charitable organization or into a blocked account. With the stakes taking such a huge jump now is the time to confirm your organization is in good standing with the California Attorney General’s Office. 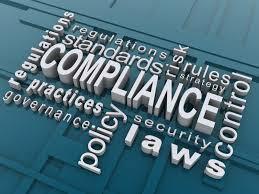 If you’re not sure how to check or need assistance bringing your organization into compliance we are here to help! We can take care of all your corporate and charity registration filing needs and make sure you are ready for these new regulations to take effect without draining your pocket book. Call us today! A full text copy of all documents related to this amendment is available on the California Attorney General’s Office website at https://oag.ca.gov/charities/notice-adoption-amend.